Do you like to move? Lead group exercise programs for residents who are both ambulatory and non-ambulatory. Incorporate your own creative ideas into our existing exercise program! We are seeking volunteers with developing knowledge of exercise therapy with the elderly. Enthusiasm, patience and ability to motivate residents with positive verbal reinforcements is essential. The volunteer should have a strong desire to interact with the residents. We will work around your schedule! 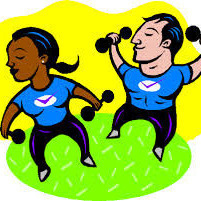 Log in to see who is volunteering for Exercise Leader!